Heading to Ireland and not sure where to go? This is the perfect Ireland itinerary! Happy St. Patricks Day! We were lucky enough to be in Ireland for St. Paddy’s last year and it’s a country we really fell in love with. To celebrate, I wanted to share my idea of the perfect Ireland itinerary. In all my trips to Ireland, I’ve discovered some real gems on this beautiful emerald isle. It has so much natural beauty that it almost hurts your eyes to look at all that green! There are also so many cultural and historical sites that you must see in Ireland that it could potentially take you a lifetime! 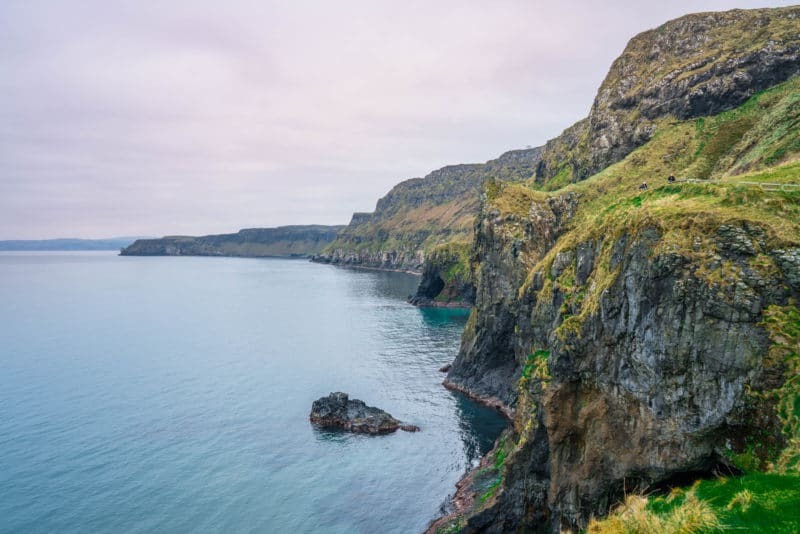 For a more in-depth look at some amazing places in Ireland, check out this massive list of the best places to visit in Ireland before planning your Ireland itinerary. When you’re planning a trip to Ireland, it’s important to know that you won’t be able to see it ALL, even though you’ll REALLY want to! I’ve tried to pick the best things to see in Ireland that will give you a really good feel for both countries! I hope this Ireland trip planner will be helpful as you choose where to go and what to do. 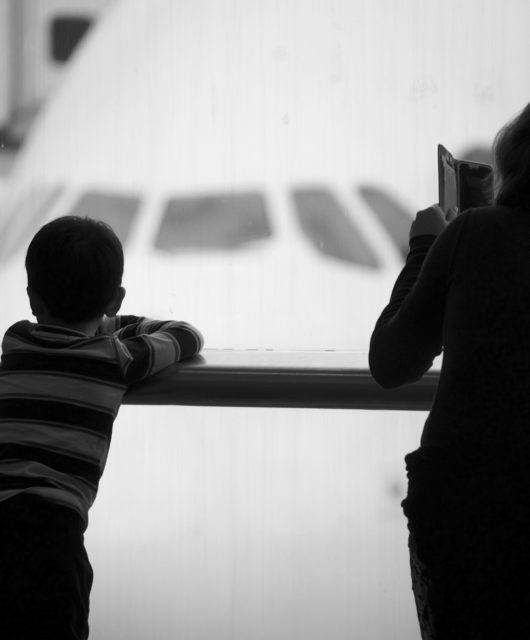 If you’re planning a trip to Ireland with kids, be sure to read this. Want to See More than Ireland? If you’re interested in extending your trip to Ireland, it’s easy and super cheap to hop a flight over to London, Scotland, or the rest of Europe. I love combining trips to Ireland with a trip to Scotland as well. You can find the perfect itinerary for Scotland and Ireland here. Ireland is a truly beautiful country and one of the cheapest places to fly to in Europe from the United States right now. I’m constantly finding good deals to Ireland. In fact, we just purchased tickets to Shannon, Ireland from Boston for $500 TOTAL for our entire family of six through Norwegian Air’s killer sale a few weeks ago and I also helped my sister book from New York to Dublin for $450 round trip per person. 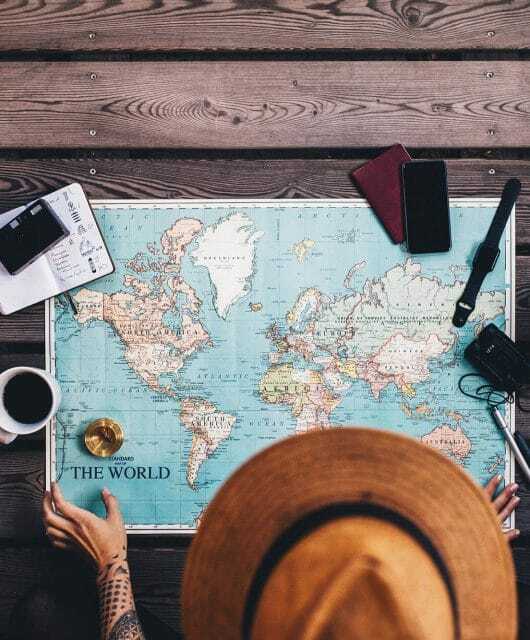 If you want to know how we get crazy deals on flights read How to Fly for Cheap or Nearly Free. The best time to travel to Ireland is when you can get the best flights in my opinion! I’ve been to Ireland in the summer, spring, winter, and fall, and guess what? The weather felt the same to me each time! Yes it was a little colder in the winter, but the rain vs. sunshine ratio was about the same. So there is not really a best month to visit Ireland and I always say the best time to travel to Ireland is when you can get the best flights and when it’s convenient for you. Just be prepared for some wet weather, wind, and cold, with a mix of a little sunshine. 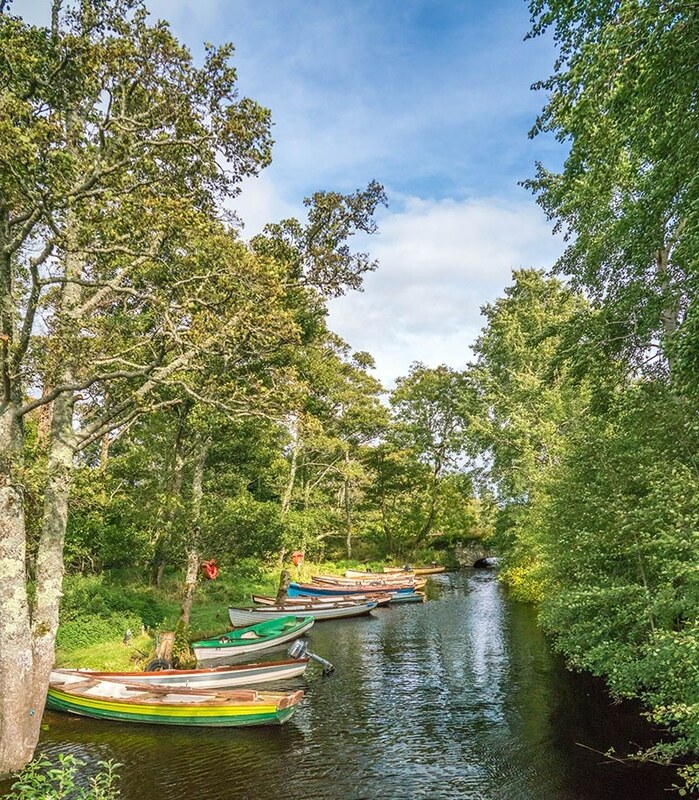 There’s a reason it’s called the emerald isle…something’s got to keep it green! But the beauty is worth it! Just as Ireland can be one of the cheapest countries in Europe to fly into, it’s also quite affordable to stay in Ireland. While there is an abundance of beautiful luxury castles and hotels to stay in, there are also really affordable Airbnb houses all over the island. We stayed in a beautiful 4 bedroom house on the coast for two months and fell in love! You can find our Airbnb here. We stayed in a beautiful, huge farmhouse in Wexford for 2 months for only $2,000. For a party of 7, that’s a great deal! 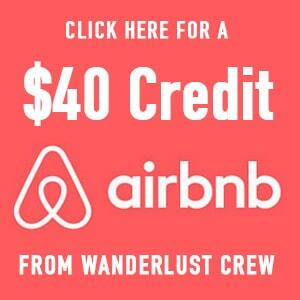 Be sure to grab this $40 coupon for Airbnb! I’ve created this Airbnb Wishlist for you that holds just a fraction of the affordable housing on the island! If you’ve never stayed in Airbnb before, please read my 16 Rules for Airbnb. I personally own these two raincoats and these two pairs of boots and I LOVE them! The pink raincoat is not lined and is good for warm days or good if you want a waterproof raincoat to go over a regular jacket. The yellow raincoat is nice and lined for a good medium weight waterproof jacket. You’ll need a really good pair of rain boots that you can also be comfortable walking in. These Eddie Bauer boots are quite possibly the best thing that have ever happened to me! Not only are they the most comfortable shoes I’ve ever owned (ask anyone I know…they’ve heard me rave about these boots), but they are waterproof, AND they come with a lifetime warranty. I bought a pair over 5 years ago and I wear through the soles about every year and a half because I wear them everywhere! When they wear out I just bring them to any Eddie Bauer store (even though I bought them on Amazon) and they give me brand new ones! They’re the BEST investment I’ve ever made. You can buy them here. These Hunter rain boots are really high quality, last forever, are completely waterproof, and have a good grip on the bottom for walking. I really love my Hunters, but they’re definitely not as comfortable as the Eddie Bauers. For more info on what to pack for Ireland, follow my packing list for Ireland or Scotland or this detailed Ireland packing list. While I am not an Ireland expert, we did live there for 2 months and were able to see most of both countries (yes Ireland and Northern Ireland are separate countries). And I’ve since been able to visit Ireland two more times, and we plan to go again this year. I think I’ve created the perfect Ireland itinerary for the first time visitor who wants to see as much of the island as possible. The good thing about this itinerary is that you can cut out whatever you want and move on to the next location if it’s too much for you. I realize that I’m missing a lot of amazing things Ireland has to offer and I will probably receive some backlash for this, but these were some of OUR favorite finds in Ireland! When you go to Ireland, I suggest that you rent a car. There is so much to see and driving will be the best way to see Ireland and everything it has to offer. An Ireland road trip is my favorite way to see the island. Please, for the love of Ireland, do NOT spend your whole trip in Dublin! There is so much more that this beautiful island has to offer! You can do this Ireland itinerary forwards or backward, it doesn’t matter. I selfishly like this route (clockwise) because while driving along the coast, the passenger has a good view out the window and since that’s usually me, and I’m the one with the camera, that’s the way I’d go! Remember you’ll be driving on the LEFT! Honestly, it’s easier than you think and your brain picks it up pretty well after a day or two. Just be alert! How long will this Ireland road trip take? Well, that’s really up to you! 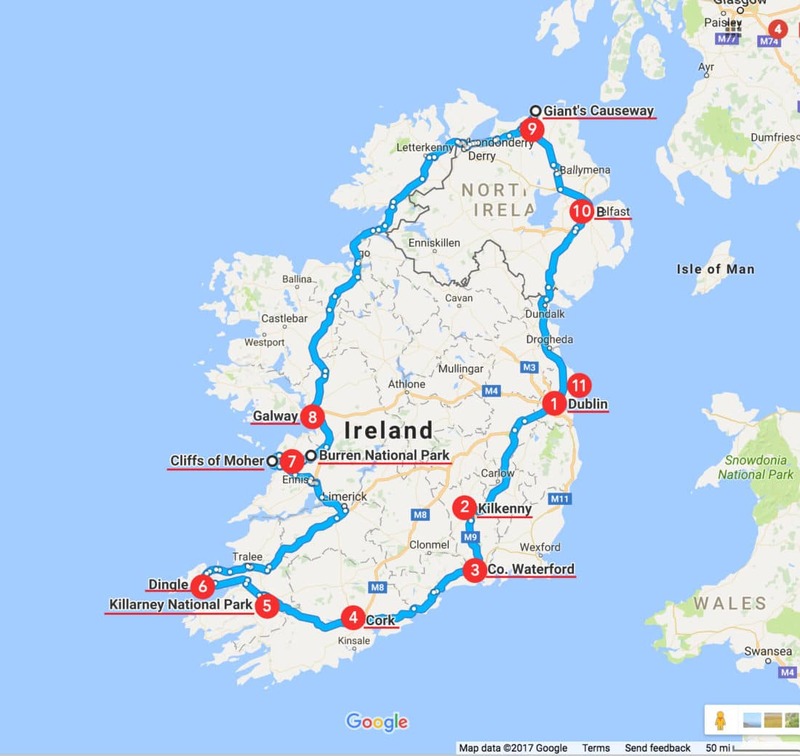 I’ve seen people do this Ireland road trip in only 10 days. That’s a little ambitious if you ask me. If you really want to hit all of these best places to visit in Ireland in one trip, then I would plan about 2 weeks for your whole journey. If you have less time in Ireland, simply cut out a few stops. 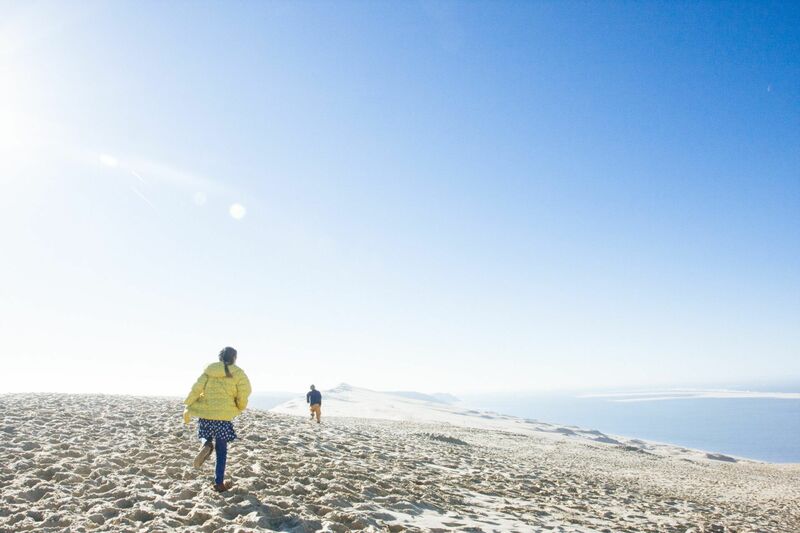 It’s not the end of the world, and you’ll have an excuse to come back! These are my top ten picks for what to see in Ireland. You can pick and choose which cities look good to you and skip over the ones you aren’t interested in. Don’t feel like you need to do it all unless you’ve got the time. For me, this is the best of Ireland! Arrive! If you’re flying into Dublin (be sure to check other airports in Ireland like Shannon and Cork for good deals), spend a day and a half or so in this beautiful city. See the book of Kells, eat in a few pubs, take a tour. Stay the night in Dublin and take a day to get over your jetleg before heading out on your Ireland road trip. 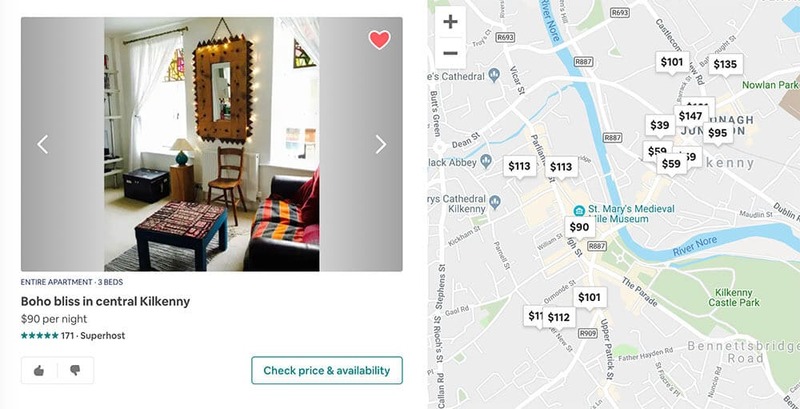 There are some beautiful hotels and great Airbnbs in Dublin. Here is a list of affordable Airbnbs in the city. 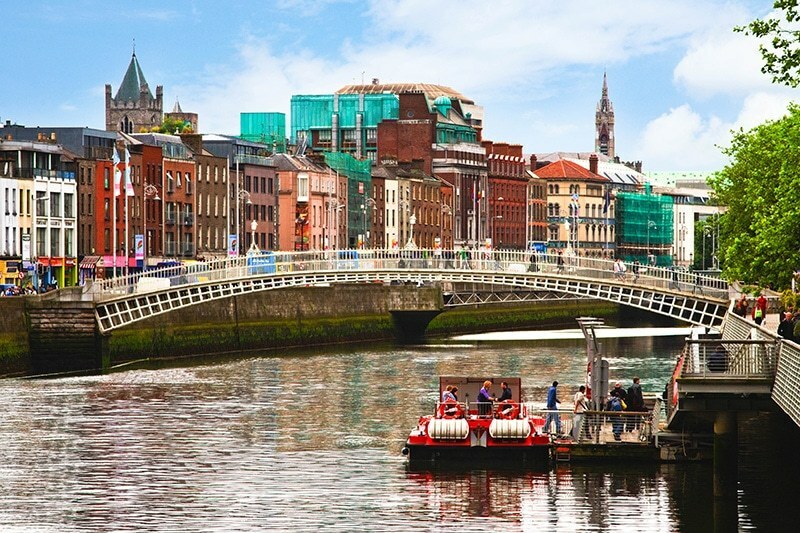 Here is a great guide for spending one day in Dublin. 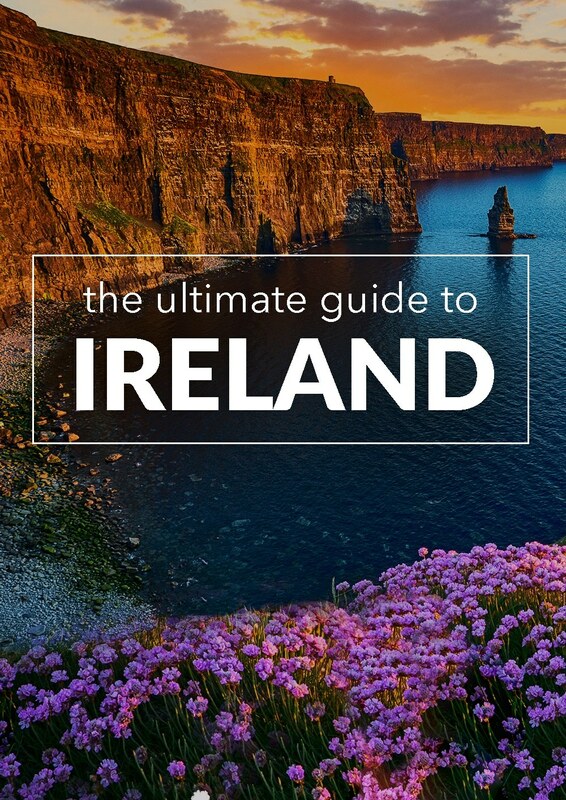 And if you’re heading to Ireland with kids you can find great information here. I love this charming town of Kilkenny! Kilkenny is a charming and historic town with lots to see and do. There is a great little farmers market outside the castle and street performers usually line the streets. It’s a great town to wander and enjoy the cobblestone streets and ancient buildings. This town has deep religious roots with well-preserved churches and abbeys that are amazing to see. Be sure to visit Black Abbey and St. Canice’s Cathedral. You can tour the castle, the old abbey, pop into the shops and sup in a pub! 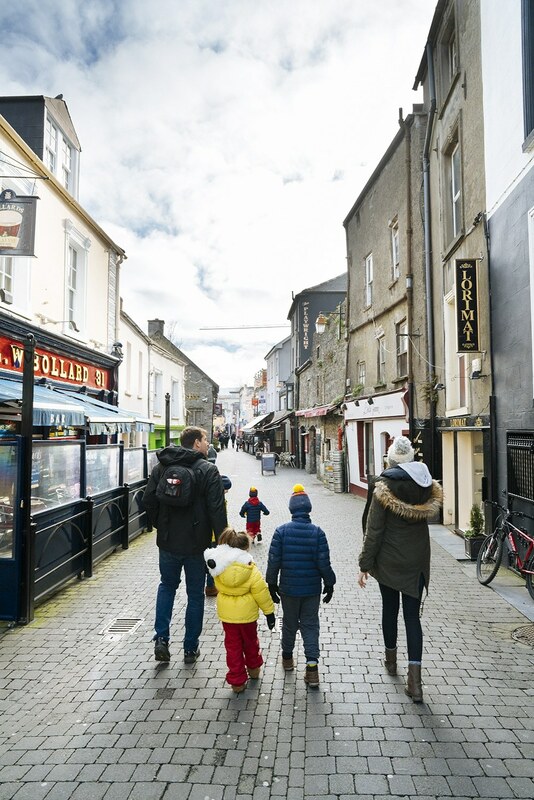 Here are more cool things to do in Kilkenny. You’ll want to stay at least one night in Killkenney to enjoy the scenery and atmosphere. 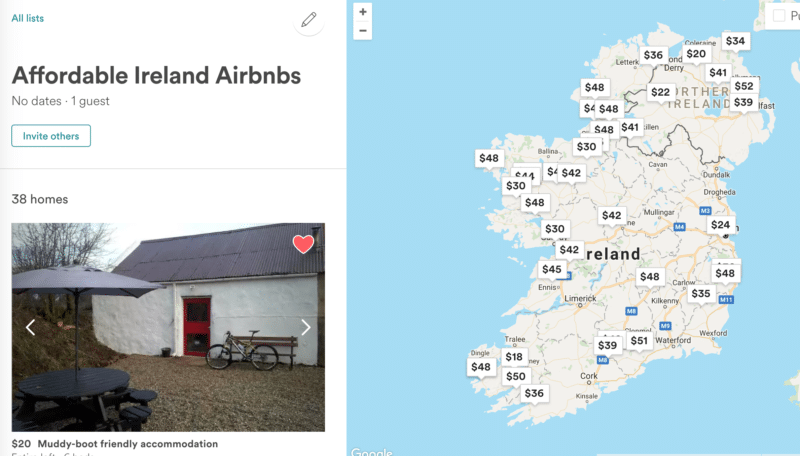 Here are affordable Airbnbs in Killkenney. Hook Lighthouse is the oldest working lighthouse in the world. Tour the inside, but be prepared to walk lots of stairs! South East Ireland or “Ireland’s Ancient East” is one of the most overlooked areas of Ireland in my opinion. Don’t skip this if you want the perfect Ireland itinerary! There are so many hidden gems that I’m going to bring to light! 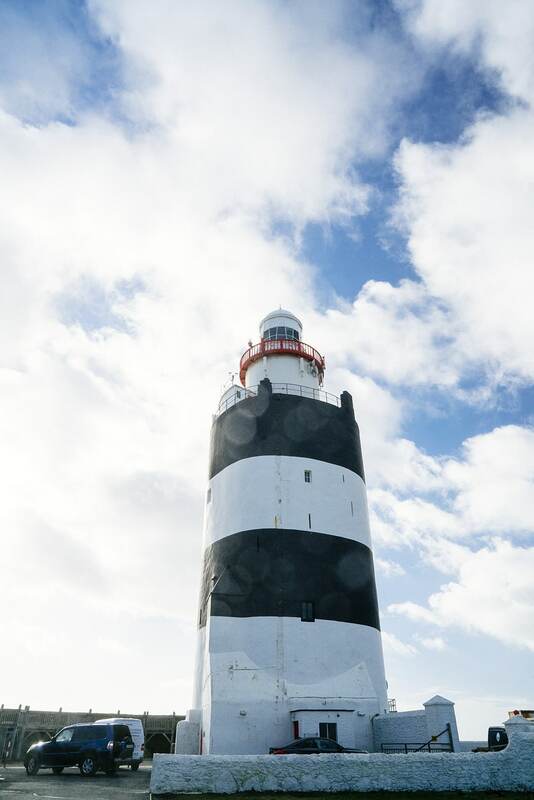 Hook Head Peninsula: A short ferry ride away you will find the beautiful Hook Peninsula where you can tour the oldest working lighthouse in the world, visit the most haunted house in Ireland, and wander a secret garden and ruins of an abbey. It’s one of the least visited and most underappreciated areas in Ireland, but I don’t think you should miss it! We lived on the peninsula for two months and it was an incredible experience! 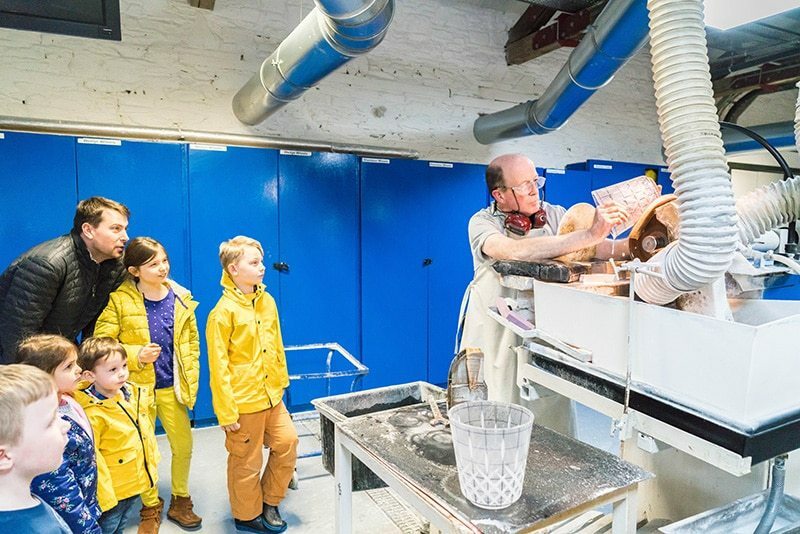 Waterford: In the city of Waterford, you can visit the Waterford Crystal Factory and take a factory tour, which is much more interesting than it sounds! Even the kids loved it! 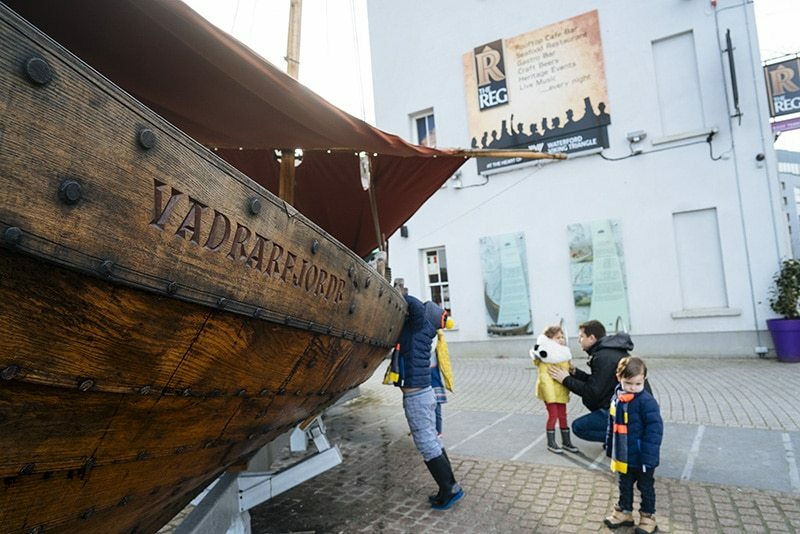 You can also visit the Medieval Museum, and wander old Waterford and the Viking triangle of the old walled city. Tintern Abbey: One of my favorite hidden gems in all of Ireland is called Tintern Abbey near the tiny town of Saltmills on the Hook Head Peninsula. Check out our video of Tintern Abbey early in the morning. Here you can find the ruins of the old abbey, an overgrown mill, and a beautiful walled garden. You’ll want to stay in Wexford or Waterford. We stayed for two months, but two days will do if you must. We rented this gorgeous Airbnb near Tintern Abbey. For most, Blarney Castle is a must see when visiting Ireland. You can kiss the Blarney stone and receive the gift of gab! Cork is a beautiful city to wander. Visit the English Market, an indoor sort of farmers market with lots of interesting things to see and eat! Here are 33 things to do in Cork city. If you’re interested in seeing more castles, Ireland will not disappoint! Read about the top 5 Castles to visit in Ireland. I would recommend staying in Killarney for several days. There is so much to do and see in this beautiful National Park that you may not want to ever leave. There are some great hotels in Killarney as well as charming Airbnbs. 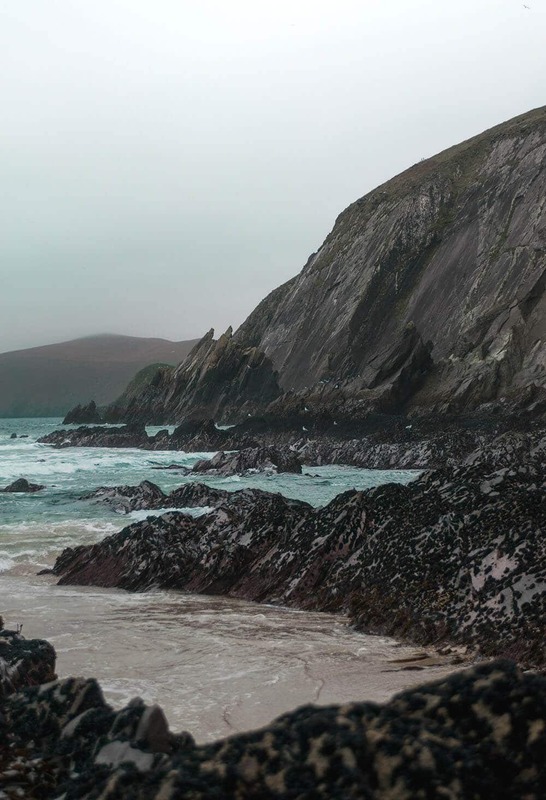 If you’re on a tight schedule, I recommend you skip the more popular and time-consuming Ring of Kerry and instead drive the Dingle Peninsula. It’s a beautiful stretch of land with some of the most stunning scenery in all of Ireland. Read about what you can see on the Dingle Peninsula here. The Burren: The word “Burren” comes from the Irish word “Boíreann” which means a rocky place. This is a pretty fitting name because it is covered in Limestone Pavement. It’s like visiting another planet. Read more about the Burren here. The Cliffs of Moher are something that you just have to see for yourself! They are beyond breathtaking. Don’t skip this stop! Plan on several hours to see the Cliffs of Moher. There is a really neat visitor’s center where you can learn about the cliffs and also about the puffins who nest there. There’s also a great cafe with lots of options. 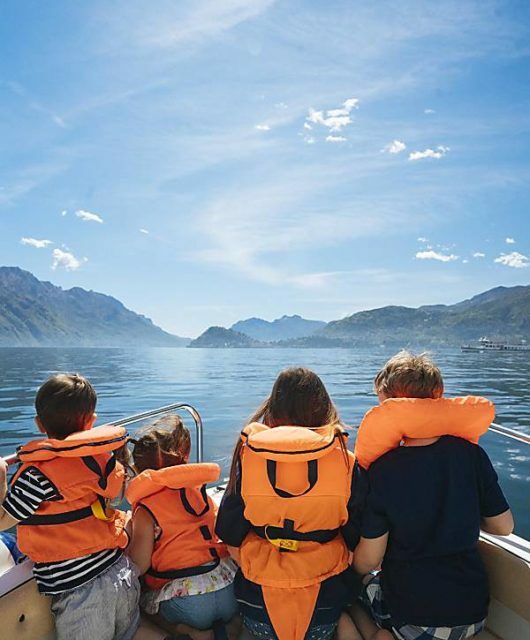 Here are some tips for taking kids to the cliffs. Galway is a gorgeous Irish town and a must visit. 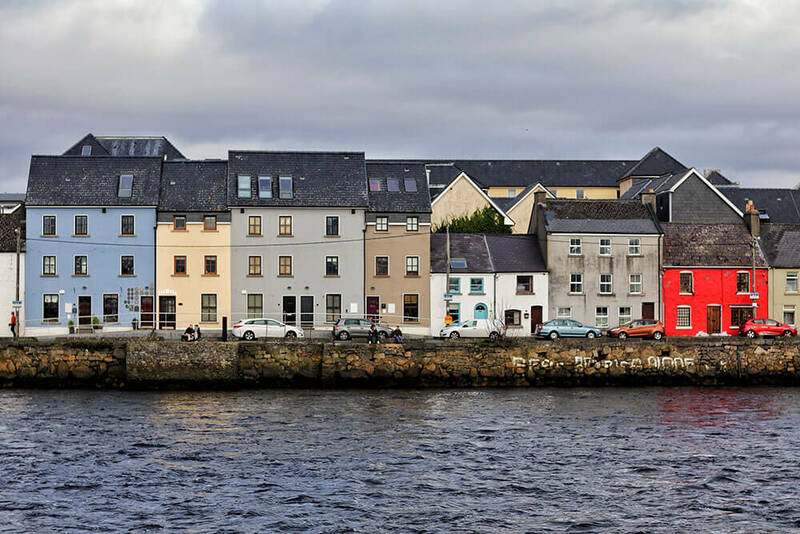 Here is a guide to visiting Galway. Remember that Northern Ireland is part of the United Kingdom and will use the pound sterling instead of the Euro. You will not need your passport to cross from Ireland to Northern Ireland. 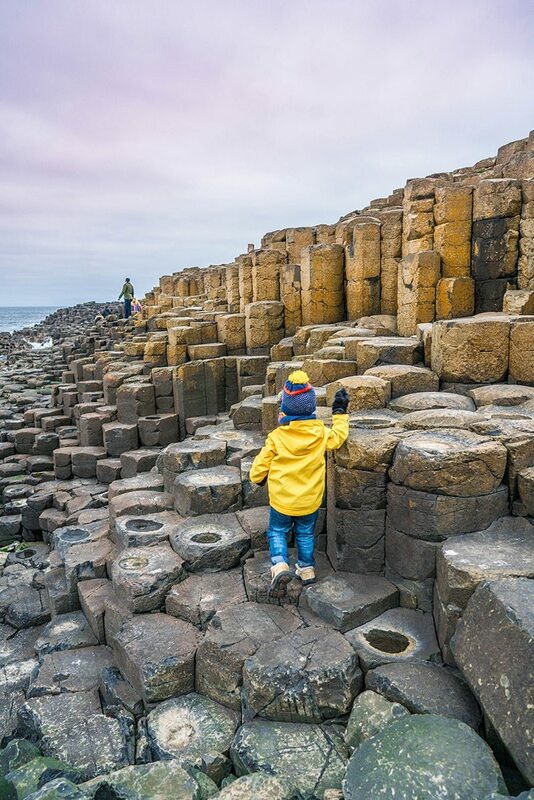 Here are some things you will not want to miss in Northern Ireland. I would plan for 2 nights in Northern Ireland. It’s a beautiful place to slow down and take in the sites. We stayed in this lovely Airbnb next door to a field of sheep. Drive to Belfast and spend a day seeing the city. Here is a guide to visiting Belfast. 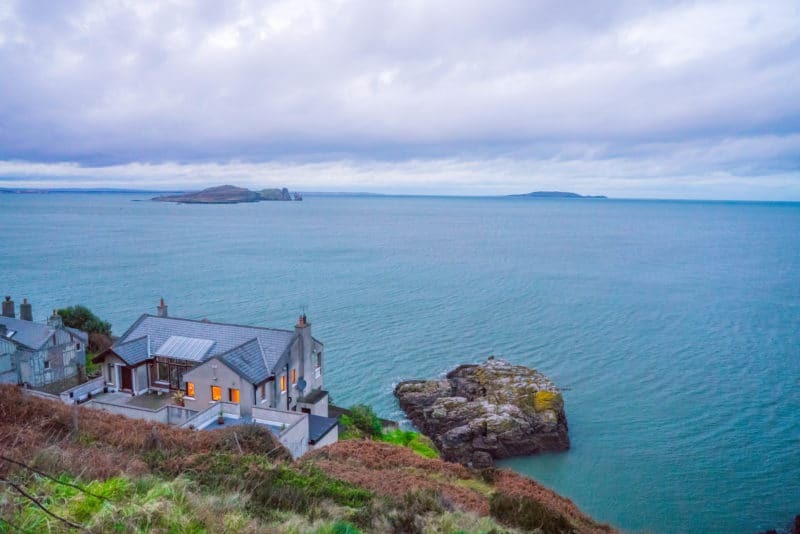 Visit the Howth Cliffs and eat fish and chips in Howth. There are a million pubs and fish and chips shops. I’ve tried several and they’ve all been good. You can read more about walking the Howth Cliff path loop here. 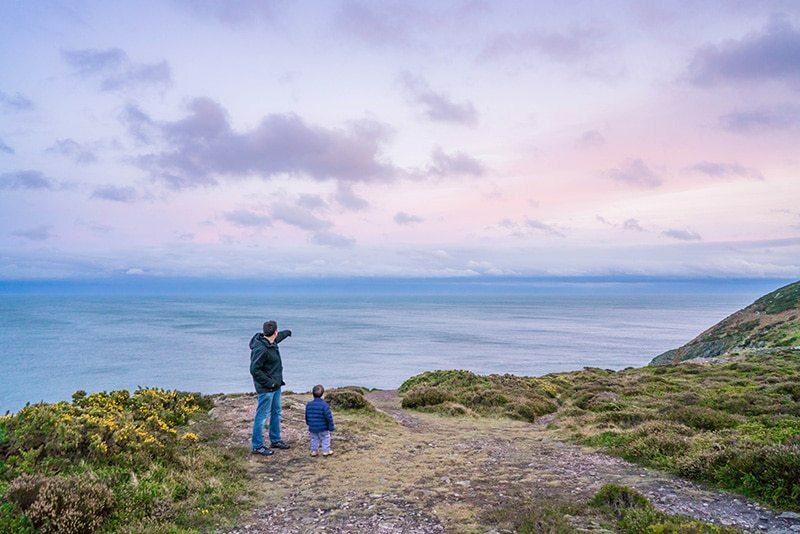 Also, read about taking kids to Howth here. And now you’re back to Dublin! 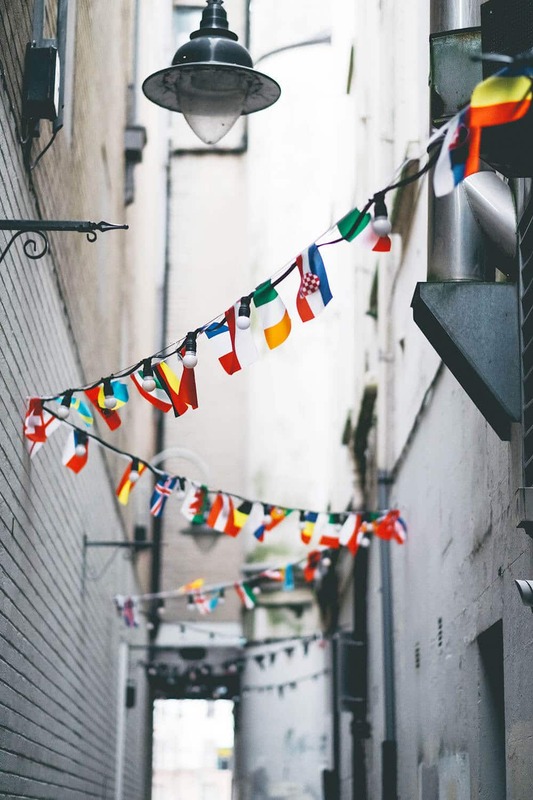 See as much as you can, eat in as many pubs as possible and don’t forget to catch your flight back home! This is the perfect Ireland itinerary for us and we hope it helps you out on your visit to Ireland! While I love a good Ireland road trip and exploring on my own, it’s sometimes nice to have someone else do all the work. 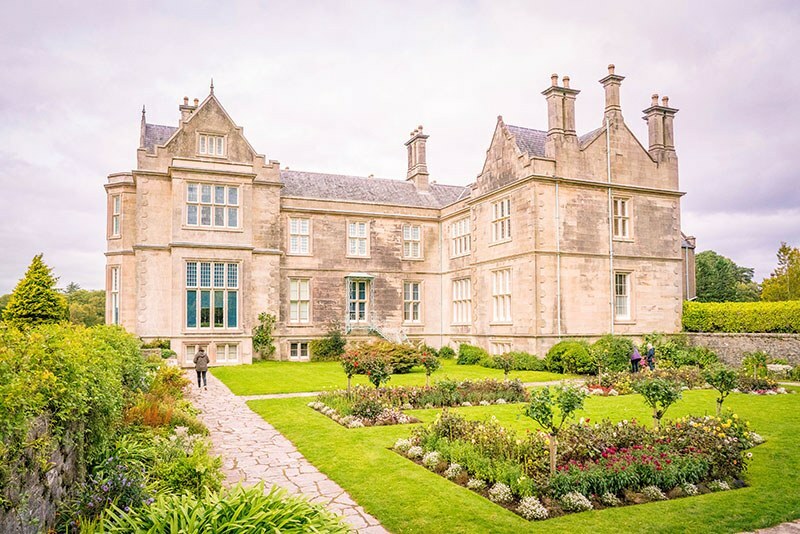 If you’re looking for a little more ease in your travel or don’t want to drive, check out these best Ireland tours from Get Your Guide. Be sure to follow my Ireland Board on Pinterest for more great ideas for your trip! Wow I badly want to go! We are planning a 6-12 month Euro road trip in a few years so this is going on the planning board! How long did you spend in total and how long at each spot? I find the hardest thing to do is budget time. I totally agree. It’s so hard to budget time, when you’ve never been somewhere. I think 2 weeks is a good amount of time to pack it all in. Of course longer is better! We stayed for 2 months and still missed so much of this beautiful place! 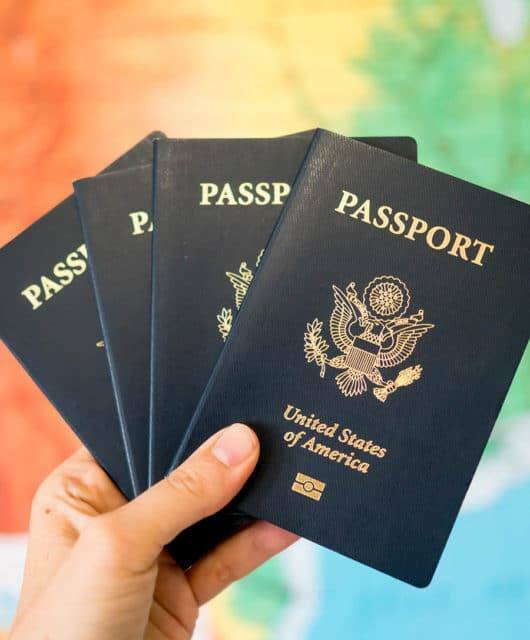 How exciting about your Euro trip! We fell so in love with Europe last year that we are going back next year! Great itinerary! My husband has always wanted to go to Ireland…we’ll have to check out those deals! I was wondering the same as Christine…how long do you think a family would need to really see everything on this itinerary to the fullest? Oh I think 2 weeks would be ideal to do all of this and not be too rushed, but you could technically do it in a week. I hope you make it there. It’s such a special place! Oh yes! I’ve had several people suggest those to me! I haven’t done any of those, but we are heading back in February so I will put those on my list for sure! Thanks! The Connemara region IS lovely. We enjoyed our staff at the Ballynahinch Castle — Twp days of rest and relaxation in the middle of a three-week visit. Beautiful grounds. 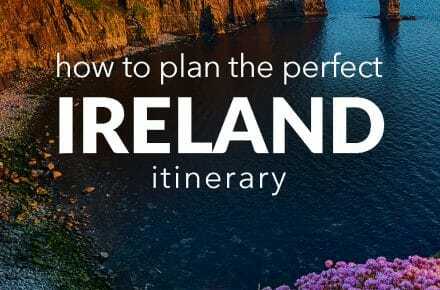 Planning on visiting Ireland we can organise This perfect Itinerary for you. I wish to express some appreciation to you just for bailing me out of such a issue. After searching through the online world and obtaining tips which were not helpful, I believed my life was done. Existing without the approaches to the problems you’ve sorted out by way of the review is a crucial case, as well as those that might have adversely affected my entire career if I had not discovered the website. Your main capability and kindness in taking care of everything was crucial. I don’t know what I would’ve done if I had not come upon such a solution like this. I can at this moment look ahead to my future. Thanks for your time so much for this high quality and result oriented guide. I won’t hesitate to recommend your site to any individual who needs to have guidelines on this matter. Appreciating the time and energy you invested in your website and comprehensive information you present. It is amazing to discover a blogging site now and then which is just not the similar expired rehashed information. Amazing read! We’ve bookmarked your site and I am including the RSS feeds to my garageband download windows page. You’re totally correct, I would love to learn even more on that topic! I’m also interested by mobile apps because I believe it really is very cool nowadays. Keep this up! Hi, you’re definitely correct. I frequently go through your content carefully. 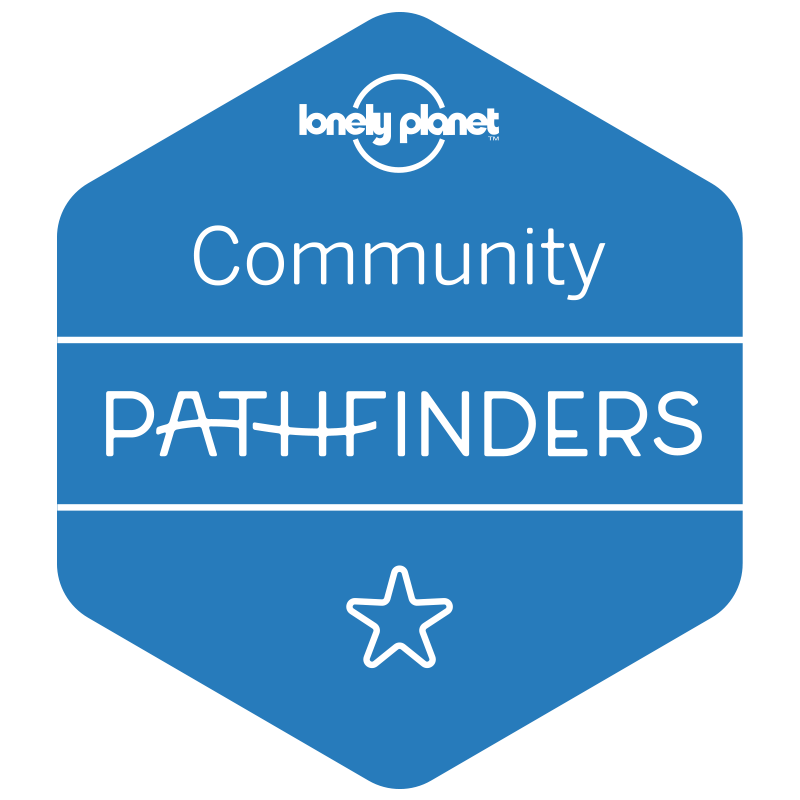 I’m also thinking about lucky patcher android, perhaps you might write about that occasionally. Bye bye! I’d have to check with you here. That is not some thing I ordinarily do! I get pleasure from reading a post that may make folks think. Also, thanks for permitting me to comment! Thanks for every other informative site. The place else may I am getting that type of information written in such an ideal means? I have a undertaking that I am just now working on, and I’ve been at the glance out for such info. introducing it broadly inside the United states and U.K.
Its fantastic as your other blog posts : D, thankyou for posting. Admiring the commitment you put into your blog and in depth information you provide. It’s nice to come across a blog every once in a while that isn’t the same unwanted rehashed material. Fantastic read! I’ve bookmarked your site and I’m adding your RSS feeds to my Google account. You are certainly right, I’d love to know even more on that topic! I am also interested by upvc windows cost as I believe it is quite cool presently. Keep this up! Hello, you used to write wonderful, but the last few posts have been kinda boring?K I miss your super writings. Past few posts are just a little bit out of track! come on! Hello.This article was extremely remarkable, especially since I was investigating for thoughts on this issue last couple of days. Fantastic blog! Do you have any helpful hints for aspiring writers? I’m planning to start my own blog soon but I’m a little lost on everything. Would you suggest starting with a free platform like WordPress or go for a paid option? There are so many options out there that I’m completely confused .. Any recommendations? Appreciate it! Thank you, I have just been searching for information about this subject for ages and yours is the greatest I’ve discovered till now. But, what about the conclusion? Are you sure about the source? So excited for your trip back! It’s truly an amazing country! What would be the best time of year to go? Any time is a good time to go to Ireland, but I love it in the Spring if you don’t mind some rain! 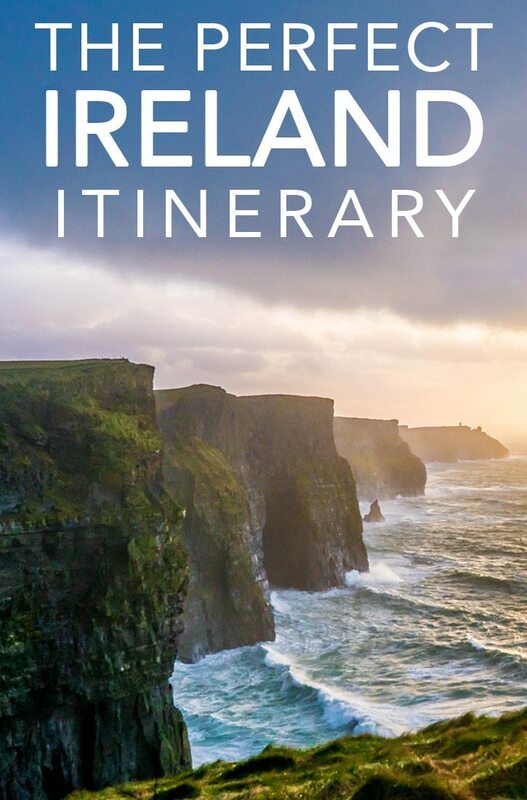 Planning an Ireland trip next year 2020, for my 60th birthday. Want to travel at our leisure in a rental car but I would like to know what you suggest as far as reserving places to stay before going. I know we must pre-pay ABNB but what would availiblity look like if you just show up in many of the places you recommend seeing? Want to have flexibility but don’t really want to sleep in the car! Probably travelling April or May 2020. Thanks! Hi Gayle, I totally understand wanting flexibility. With hotels I think that is fine, but many Airbnbs require at least 24 hour notice for booking. I’ve never done last minute accommodations, but I also have 4 children, so it’s harder to find. In general, I don’t recommend it. My advice is to really decide what you want to see and to be realistic about driving times. Map everything out before going. Best of luck, please let me know if you need any help planning. I’m excited for your trip! Love this! My husband and I are planning to go end of August and are trying to decide if we need a travel agent. About how long does it take to get from place to place driving? Would you suggest staying in a new hotel each night? Our plan is 7 days right now. Hi! I just completed my isle tour, and most of it was based off of your suggestions! I landed in Dublin, then traveled to Portstewart, then back down to Kilkenny (which turned out to be my absolute favorite! ), then headed over to Cork, then Galway, then back to Dublin. I just have to say I had an amazing trip and I wanted to thank you for your article!! Giants Causeway was impressive, Blarney Castle and the property surrounding it was stunning, Cliffs of Moher was breathtaking, and I simply can’t wait to go back! This May, I and my husband are travelling to the emerald country for the second time. Two years ago we decided to explore Dublin solely, but this time we’d love to stay longer and see more of local nature. Thank you for this elaborate itinerary. We’ll try to make most of it. Your guide to Galaway with the link doesn’t work or doesn’t take it to a correct source. Thanks for this post though!